Stephen Hawking's Alien warning and the existence of alien technology based on Zero Point Energy (ZPE) and apparent violation of the second law. Steven Hawking has faith in aliens, but still can't tell us what started the "big bang". Stephen Hawking seems to be convinced that alien technology is able to bring aliens trough light-years of space down to Earth. Thus, our present moment technology and physical knowledge is inadequate and should jump to that higher level by a new physics paradigm. 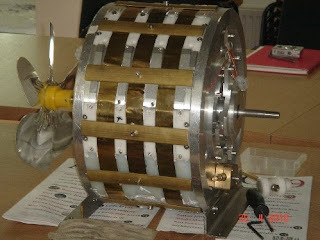 In my view, Understanding of alien UFO technology is only possible, if we discover how to use Zero Point Energy (ZPE). The key: we need NEW PHYSICS. If the vacuum is interpreted as a super dense oscillating mass less Higgs lattice as the base for "Dark Energy" and Knots of compressed Higgs particles are the hearts of Black Holes (Dark Matter) at all scales even for small ball lightning’s, then NEW PHYSICS is there. Key words: Entropy Decrease, Apparent Second Law Violation and Overunity Effects, propeller shaped Fermions, Oscillating Higgs vacuum lattice and Large Scale Casimir Force. 2: Speed of light variation experiments related to gravity field of the earth "gravity dragging of the lightspeed"
7: The choice between up and down state of the electron. 8: The cyclic CPT Symmetric RASPBERRY Multiverse, based on black hole evaporation. 9: Black Holes Should Generate A Ring of Light, but also a ring of IONS AND ELECTRONS! Aliens are very likely out there, according to eminent scientist Stephen Hawking - but we should keep quiet and hope they don't notice us. So Hawking assumes that NEW PHYSICS and some kind of alien technology is able to bring them to our Earth. In a documentary for the Discovery Channel, the theoretical physicist warns against making contact with any extra-terrestrials. Professor Hawking, who retired as the Lucasian Professor of Mathematics at the University of Cambridge last year, claims such space life would only abuse Earth's resources and move on. 1; Comets equipped with a new paradigm micro black hole nucleus, producing x-rays, ice and jets of dust. Multiple jet discovered around Comet Temple 1. This is a look at the comet Tempel 1 through a telescope. The active regions are responsible for the bright jets (left). 2: Examples of NEW PARADIGM splitting and pairing Black Holes. Based on space observation, NEW PARADIGM Black Holes (BHs) based on apparent violation of the second law of tharmodynamics, are NOT hazardous to matter. They create entropy decrease at their BH horizons by the REPULSION but also CREATION of Fermions in the form of ionized gas. 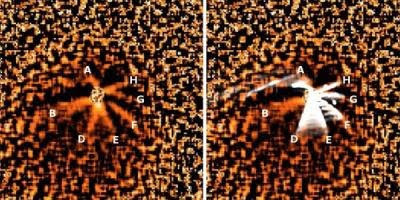 TWO such BHs, even seem to create an electric generator based on apparent violation of the second law of thermodynamics as we find in space as Herbig Haro tandem jets! Larger BH (multiple) tandem systems (with clear electric power generation) are: Planetary star systems (like our Sun), Star forming Nebula, Galaxies and Galaxy clusters. The NEW BLACK HOLE and apparent SECOND LAW violation. 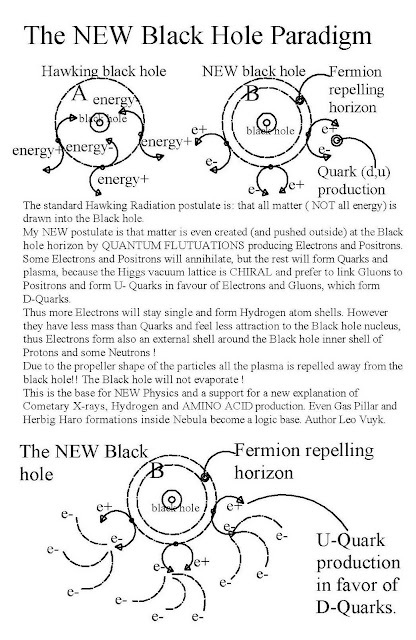 The standard Hawking Radiation postulate is: that all matter ( NOT all energy) is drawn into the Black hole. My NEW postulate is that matter is even created (and pushed outside) at the Black hole horizon by QUANTUM FLUTUATIONS producing Electrons and Positrons. Some Electrons and Positrons will annihilate, but the rest will form Quarks and plasma, because the Higgs vacuum lattice is CHIRAL and prefer to link Gluons to Positrons and form U- Quarks in favour of Electrons and Gluons, which form D-Quarks. Thus more Electrons will stay single and form Hydrogen atom shells. 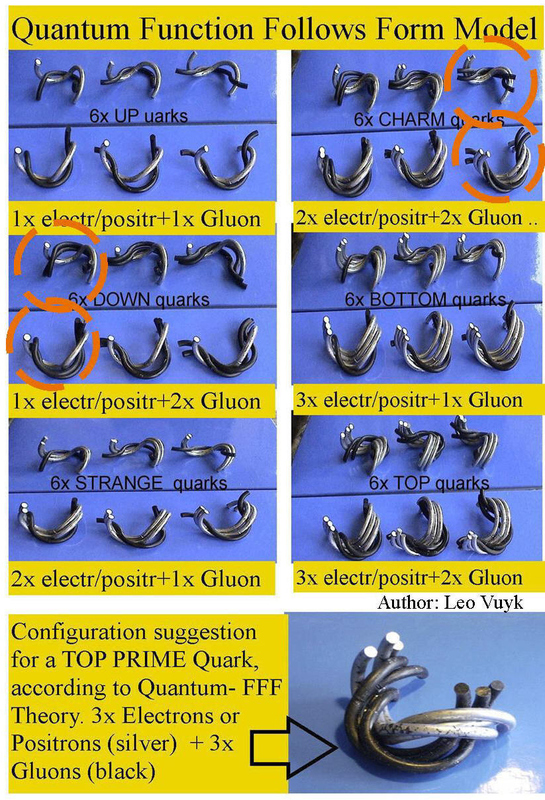 However they have less mass than Quarks and feel less attraction to the Black hole nucleus, thus Electrons form also an external shell around the Black hole inner shell of Protons and perhaps even some Neutrons ! This is the base for NEW Physics and a support for a new explanation of Cometary X-rays, Water- and AMINO ACID production in Comets. 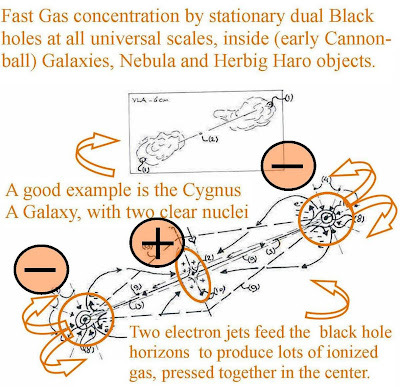 Even Gas Pillar and Herbig Haro formations inside Nebula and Ball lightning become a logic base. This new Black hole system is clearly an example of entropy decrease Zero Point Energy (ZPE) production and a violation of the second law of thermodynamics. 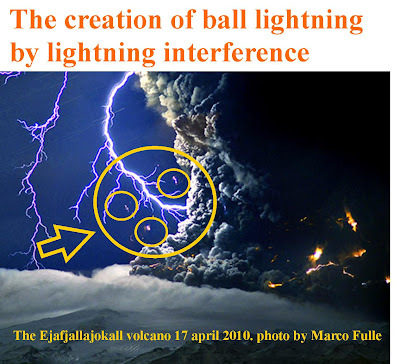 It is also a challenge to new forms of ZPE energy production on Earth, by harnessing two Ball lightnings (see my former blog contribution). But how could we harness a ball lightning? Looking at my new black hole model it is clear that the ball lightning (or micro-black hole) will be stabilize inside a metal globule, by the continuous charge supply to the metal wall of the globule. 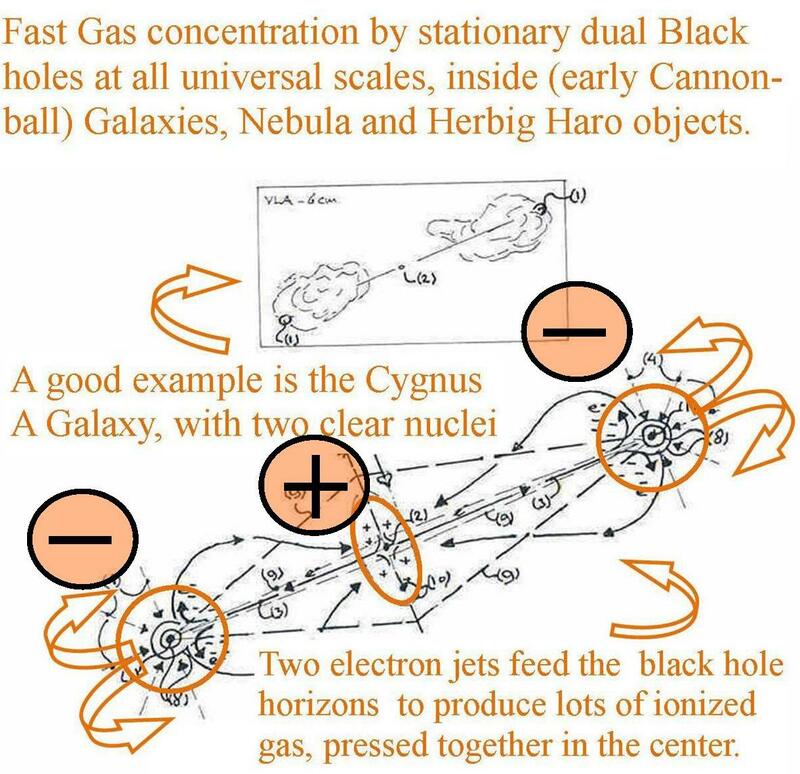 If we combine TWO of these globules by an intermediate double hollow electron channel, it must be possible to create a real "electron pump", just as we observe at the Cygnus A system. see below. The exploding Eyjafjallajökull volcano at Iceland seems to present traces of ball lightning production.